In early 2016, Raph decided to form a new band. Already the lead singer and the lead guitarist in the band Infinity, he was looking to perform the music that he was passionate about. Although the band never got past the rehearsal stage "Raised on Journey" had real potential and when the band decided to go their separate ways Raph was still keen to play the 80s style rock that he loved. So he thought a less specific 80s rock band rather than a "Journey" tribute band might be the way to go. Ben was also keen to keep going and was the first person to get involved in what was to become "Fallen Angels" - the title taken from one of the first songs that the new band had played. Ben suggested a guitarist that he had worked with before and Raph was advertising for members on various musician websites. Auditions were held and Bens's friend Matteo decided to audition too. Before long, Dave and Matteo were confirmed as the band's guitarists. 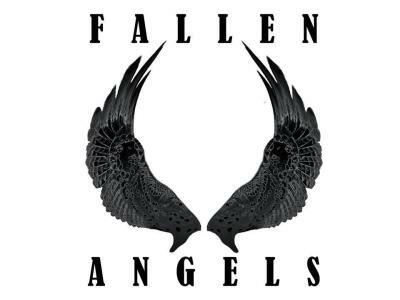 Fallen Angels were breifly joined by Sharif (the bass player from Black Shot Rose) but due to work commitments Sharif was unable to devote enough time to the band. Raph decided to contact the bass player from Raised on Journey to see if he might be interested and much to Raph's relief Phill agreed to join. Phill also added a second backing vocalist to the band along with Matteo to complete the line up. In June 2018 Gareth Hughes replaced Dave to add strength to the 2 guitar strike force. Gareth is a professional musician and an awesome guitarist. With 2 exceptional guitarists in the Fallen Angels' line up the band are going from strength to strength. I started playing the guitar at the age of 10. I got my first electric guitar at 11 and really started playing it at around 13. My biggest influence as a child was Mark Knopfler and Dire Straits. As I got older I started to favour "Rock". Bands like Saxon, White Lion, Bon Jovi and Scorpions changed the direction of my playing during my teens and I have stuck with that ever since. My style is more of a slightly faster, heavier version of the sort of thing Knoplfer used to do than the out and out "shredding" of the likes of Yngvie Malmsteen or Paul Gilbert. I try to keep my solos as melodic as possible as well as using hammer-ons and pentatonic scales to keep things flowing. My favourite guitarist is Vito Bratta from White Lion. Setup: Gibson Les Paul Standard, Fender American Special Stratocaster, Hohner G3T Headless, Fender Acoustic, Marshall MG100HCFX Head, Marshall 4x12 Cabinet, Boss M-50, Boss VE-20. Lately I have focussed more on vocals and am enjoying the new challenge of trying to hit the dizzying high notes of those 80s rockers! Equipment: Gibson and Ibanez guitars, Orange amp and cabs, MXR/Boss pedals - Old Skool! Matteo's love affair with the guitar began in the mid-80s, and accordingly early favourites were Whitesnake, Dokken, Iron Maiden and Guns n' Roses. Flirtations with thrash metal and early-70s prog rock, as well as the usual shredders (Vai, Satriani, Malmsteen, Gilbert etc) ensued, although with time it became clear that a good tune and a wailing note from Gary Moore's Les Paul were worth more than all the scales and arpeggios in the world. After a close brush with minor notoriety at an epic Battle of the Bands in his native Italy, Matteo moved to the UK in the late 90s. 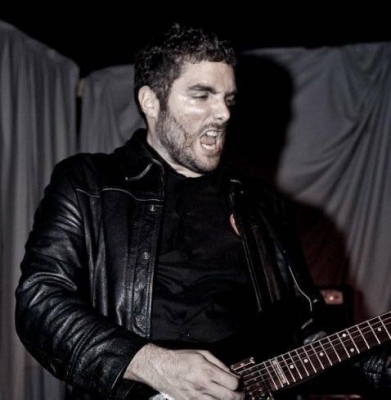 A long hiatus from live performance was broken in 2010, when he was plucked from obscurity by vampire metallers Stuka Squadron to perform a string of Camden club gigs and record minor hit On the Volga Bridge, featured in Classic Rock's top 100 songs of 2011. That wasn't to last, however... A handful of gigs around South-West London and Surrey in the intervening years with short-lived bands barely masked his musical frustration, until he joined forces with Fallen Angel in early 2017, with many a sweaty, high-voltage, dirty-RnR gigs sure to follow. Fallen Angel’s bassist Phill Townend was surprised and delighted when he received received an ‘out of the blue’ call from lead singer and former bandmate Raph Hayward inviting him to try out for the band, but the lure of bringing some all time classic 80’s rock to a new audience across the south of the UK proved too tempting an opportunity to pass up. Having collaborated with both Raph and FA drummer Ben Able in Journey Trib ‘Raised on Journey’ Phill knew that there would soon be a buzz around this new 5 piece outfit. 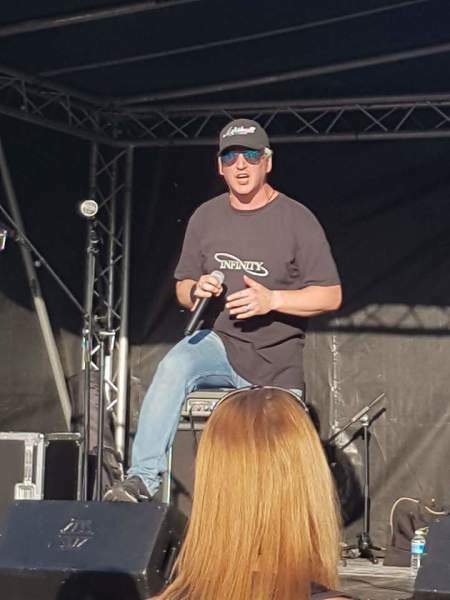 Phill started gigging in 1979 in the West Midlands with a locally popular 60s revival combo, but soon changed his musical style, embracing the New Wave of British Heavy Metal in the early 80’s, and the new sounds coming from established prog rock acts such as Rush and Yes. 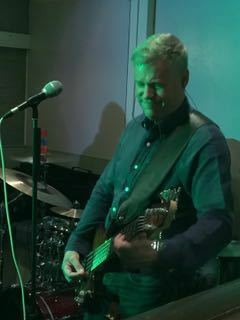 Having moved to the South Coast, Phill took up bass playing duties with Bournemouth hard rockers Stranger, mixing established favourites such as ‘Still of the Night’ and ‘Youth Gone Wild’ with a set of high quality originals from established rock writers Ken Vater and Kev Tucker. In the late 90’s Phill and Jon Pease (A Foreigner’s Journey) put together a new rock outfit ‘Jealousy’ with Simon Wood (Stilettos, Groovemeister) and Jonathan Hilton King (QED, Skinful). Jealousy was designed to show off the best of ‘80s and ‘90s rock music with setlist favourites including ‘Just like Paradise’, ‘Satch Boogie’ and ‘Spirit of Radio’ and quickly built a reputation for both musicianship and showmanship across the south coast. More recently Phill joined London Journey Tribute ‘Raised on Journey’ collaborating for the first time with Raph Hayward and Ben Able. ‘Taking the opportunity to get back on stage again with Ben and Raph was an easy decision to make’ said Phill, when asked to come on board with Fallen Angels. Influenced at an early age by artists such as Geddy Lee and Chris Squire, Phill’s distinctive sound features a deep low end, but you’ll hear the bass cutting through the mix with strong accents of high frequency attack. Phill brings a high energy playing style to both 4 and 5 string basses and gets his guitar tone from a TC Electronic BH500 running through a 2x10 and 2x12 stack. ‘With a new line up featuring twin guitar attack, we’re ready to get back to what it’s all about - rockin’ the house’, said Phill when asked about his expectations for the band. ‘"’What it comes down to for us,’ remarks Phill, ‘Is that we really enjoy what we’re doing, and we’re bringing a lot of people something they really enjoy too – why do anything else? 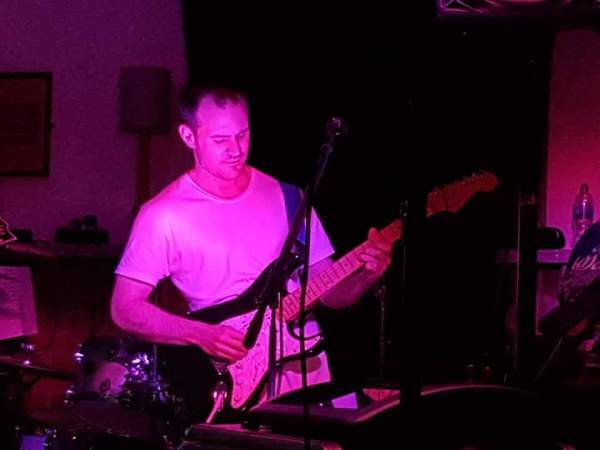 Gareth Hughes is a professional guitar player originally from Perth, Australia. He studied Jazz Performance at West Australian Academy of Performing Arts. Since moving to the London in 2012, he has performed throughout the UK at venues including the Hammersmith Apollo, Ronnie Scott's Jazz Club and the Glasgow Royal Concert Hall. He has a passion for all things 80s rock and metal, naming guitar players such as George Lynch, Warren DiMartini, John Sykes, Michael Schenker and Paul Gilbert as some of his biggest influences. Charlie was first introduced to the drums aged three and would spend the following years steadily developing his understanding of rhythm and technique. Like most drummers, having watched the incredible skills of Buddy Rich he was keen to learn how to play accurately in order to form a solid foundation on which to build his own style and technique, and started formal lessons at 10 and passed his Grade 8 exam at 16. Practicing for a minimum of 3 hours a day to keep sharp. 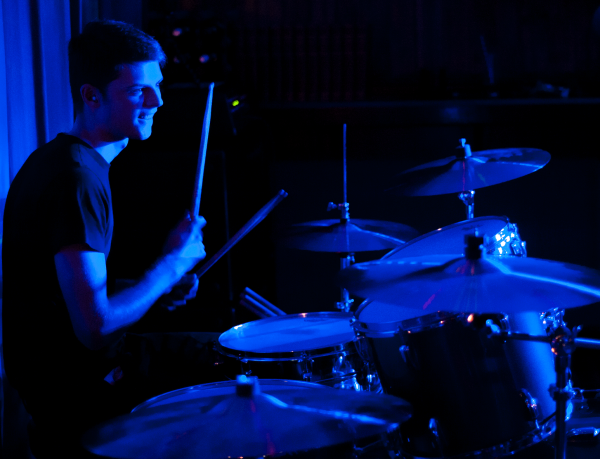 Charlie is influenced by many drummers and drumming styles and enjoys playing all genres including Swing, Jazz and Rock.